1. 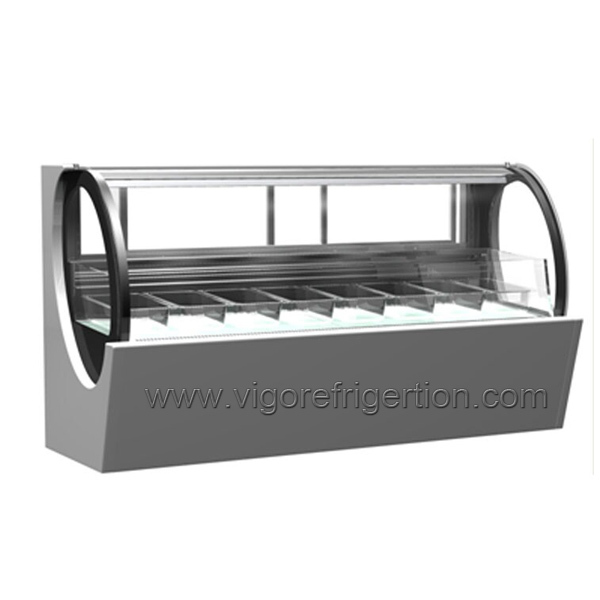 Ice Cream display Freezer with CE, Gelato Freezer Showcase, Gelato Display Freezer is used to display hard ice cream or gelato in Cafee, supermarket and other commercial sites. 2. 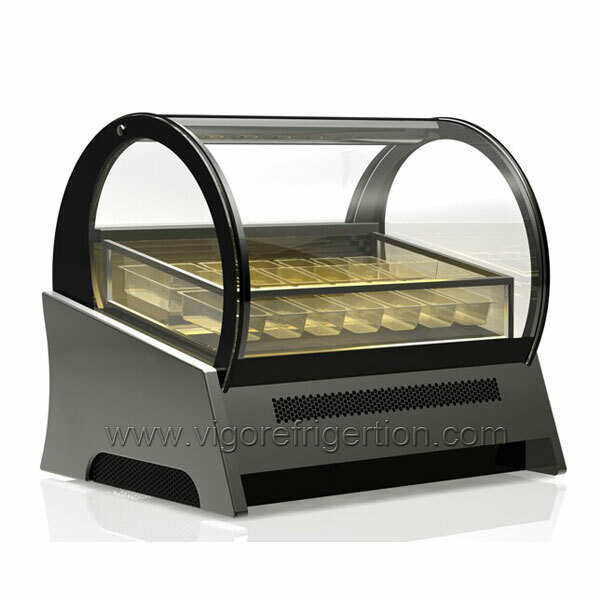 The Ice Cream Freezer with CE, Gelato Freezer Showcase, Gelato Display Freezer is with pans and can be adjusted freely for a perfect display . 3. 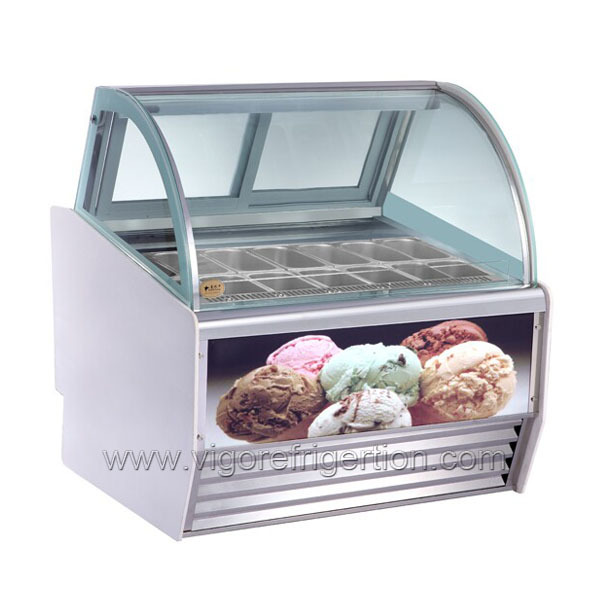 This Gelato freezer is of well matched systerm for good cooling function and anti noise effect.which is use brand name compressor and high efficiency fans, fast and stable cooling. 4. Anti fog glass door for energy saving. 5. 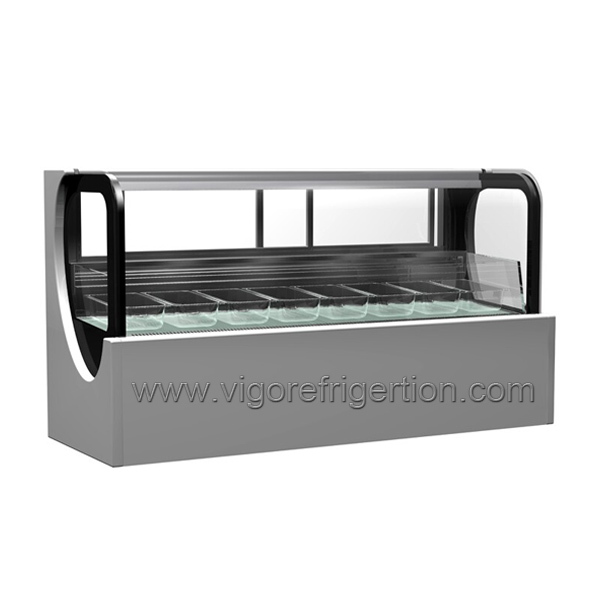 Micro-computer temperature controller with led temp.reader, automatic defrost, more precise and efficient.